Are you experiencing a noisy boiler? Find out about common causes of noise in your boiler and heating system, how to fix them yourself, and when it is recommended to seek advice from a professional. Caught out with no hot water? Don't panic! There are many common causes that are simple to fix without the need to pay for professional help. Want to know where to start? Read on to learn more. 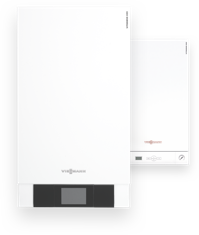 Want to know which size boiler you need for your home? Here is everything you need to know to make sure you get the most for your money and keep fuel bills down. Read on to learn more.